Country's second-largest handset vendor Micromax today said it expects one-fourth of its smartphone sales volume to come from 4G devices by end of the year. The company, which has four LTE-enabled devices in its portfolio is looking to aggressively scale up the number to over 10 devices by the end of December. "We currently have four 4G devices, but we are looking at expanding this number rapidly. 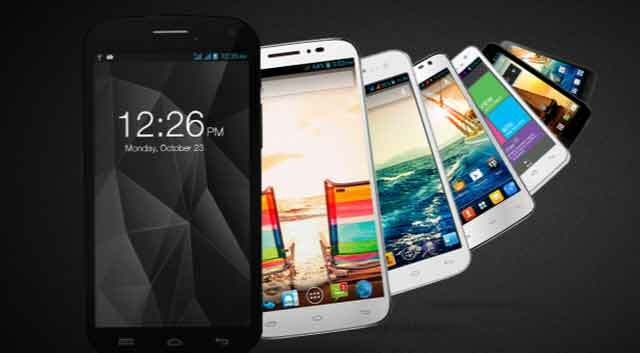 We will bring three 4G handsets this month (priced under USD 125) and before Diwali, we will have five more devices, priced well under USD 100," Micromax CEO Vineet Taneja told PTI. He added that 4G devices will account for one-fourth of the sales volume by the end of the year. The company sells about two million smartphones a month. Buoyed by strong uptake of data services and pan-India rollout of 4G network by telecom operator, Bharti Airtel, handset makers are looking at expanding their product portfolio with LTE devices, especially in the entry and affordable price range smartphones. With the impending launch of 4G (high speed internet services) by Reliance Jio, more handset makers are expected to launch devices. India is one of the fastest growing smartphone markets globally and is expected to replace the US as the second largest market by 2017, as people switch to smartphones from feature phones and gradually upgrade to 4G-enabled phones. In the April-June 2015 quarter, smartphone shipment in India grew 44 per cent to 26.5 million units from the year-ago period, as per research firm IDC. Samsung was the market leader with 23 per cent share, followed by Micromax (17 per cent) and Intex (11 per cent).